We are sold out for the 2018 season! We want to thank everyone who got a tree from us this year & gave us a wonderful season. We wish you all a Merry Christmas and hope to see you next year! 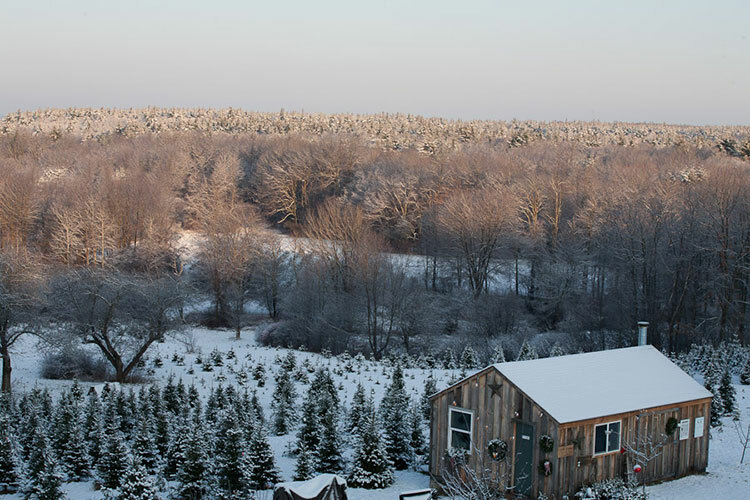 Please join us for an old-fashioned family tradition of choosing a farm-fresh Christmas Tree. Established in 1998, Riverwind Tree Farm is a Christmas Tree Farm that offers “green” Christmas Trees. Located in Lancaster, MA on Route 117, Riverwind Tree Farmis easily accessible and close to highways. We have 25 acres of wooded land that we grow our trees on, including a back field that borders the Nashua River. Our trees range from 6-11 feet tall, and this year we have a large number of 9+ foot Fir trees, for those with taller ceilings. Cost: 6' - 7' trees are $60, are the cost generally increases $10 per foot after that. We price each tree individually, depending on the variety and shape. 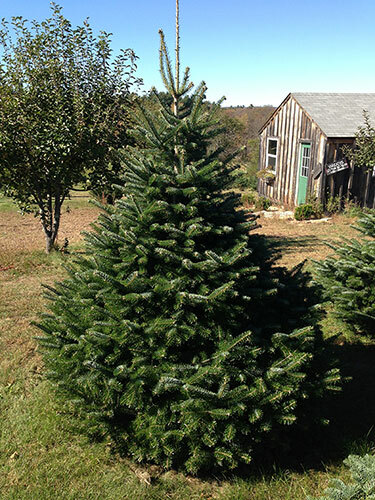 We specialize in offering both traditional Christmas Trees, such as Fraser and Balsam Firs, as well as exotic trees such as Nordmann, Turkish, and Korean Firs. We also have shorter (6'-7') premium pre-cut Fraser and Fraser-Balsam Fir trees available for purchase, this year from a farm in Canada. To ensure that none of our customers go home empty-handed, as we sell out of trees every year. For our customers who value the convenience of a pre-cut tree. © 2019 Riverwind Tree Farm. All Rights Reserved.